Stereotypes are the worst. The sweeping generalisations and broad assumptions about groups of people that filter through into the everyday are ignorant at best, and downright dangerous at their worst. Gender stereotyping is one such form of typecasting, and one that is increasingly recognised as limiting to children’s opportunities and freedom to make their own choices. Many parents are leading the charge to shake off the traditional gender roles – the expectations, behaviours and attitudes that have dominated society – for their sons and daughters. But it seems we still have a long way to go. We know for ourselves it only takes a stroll down the aisle of most toy departments to see the rigid colour coding: pink for girls, blue for boys. The same boundaries can be found in clothing and echoed across many other consumables, from lunch boxes to bed linen. Even McDonalds has come under fire for its gendering of Happy Meal toys. Thankfully, many authors are continually exploring ways they can use fictional characters to shake off gender stereotypes and clichés and empower children with relatable protagonists (and antagonists) that capture roles and ideals they identify with and want for themselves. By using literature to counter gender norms kids learn that, yes, boys do cry. They can also turn their hand to cooking, fashion, or dancing with as much enthusiasm as they may have for monster trucks, football, and fishing. Similarly, they’ll discover female characters who can express their opinion without being declared ‘bossy’, and enjoy parkour, motor cross, and video games as much as they like horse riding, hairstyles, and sleepovers. Kids, by nature, put a lot of themselves into their characters. Their heroes will often reflect values, virtues and flaws they recognise in themselves … or those that they aspire to. Younger writers may have preconceived ideas about more traditional gender roles. Encourage them to turn these ideas on their head and set their imaginations – and their characters – free! One of the ways I do this within my creative writing workshops is through a simple, yet powerful, workshop exercise, ‘Pirates and Princesses’ – two of the most potentially cliched character ideas you could draw upon. Participants are invited to create a pirate or princess (or prince) character, and we then begin exploring different approaches to the construction of their character’s appearance, likes and dislikes, best and worst traits, family background, their ship or castle, their biggest secret, and other elements that shape characterisation. For example, kids might choose to be the scariest queen that ever ruled a kingdom and kept a crocodile as a pet; or perhaps a princess who got sick of rescuing princes and decided she was going to retrain as an astronaut. They might want to write about the baddest, boldest pirate queen that ever sailed the high seas, or perhaps a pirate that doesn’t know anything about ships or the ocean and would prefer to let his crew do all the sailing and plundering while he bakes chocolate cakes and listens to Katy Perry. This exercise is not only a lot of fun but gives kids the opportunity to create interesting characters that defy their labels. Whenever I run this workshop it always generates a lot of creative energy, enthusiasm and laughter. When you have such interesting characters to play with, it makes for some very entertaining storytelling! 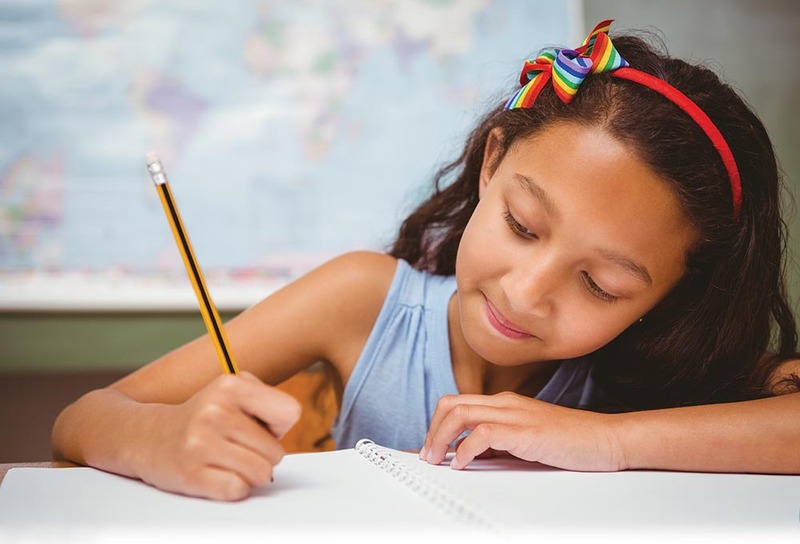 Parents might not be able to influence every factor in our children’s lives when it comes to shaking off traditional gender roles, but encouraging them to explore and subvert these boundaries through creative writing can be a small, yet significant, step. And small steps lead to big changes. PSIf you’re looking for some titles portraying characters that throw gender stereotypes down the stairs, teach boys there’s more than one way to be a hero, and illustrate to girls that strength and independence are something to be valued. Some of my favourites include: Goodnight Stories for Rebel Girls; Ponyboy Curtis from The Outsiders; Hermione Granger, Neville Longbottom, and Ginny Weasley from the Harry Potter Series; Charlie Brown; Ferdinand the Bull; Nancy Drew; and Katniss Everdeen and Peeta Mellark from The Hunger Games.